One of the best ways for kids to learn basic math facts is by repetition. I remember learning my math facts the old fashioned way - flash cards. Ah, those flashcard drills are still very vivid in my mind but not for a good reason. I hated them! I found it boring and it turned me off of math. You may be surprised to know that I was not a math aficionado growing up. 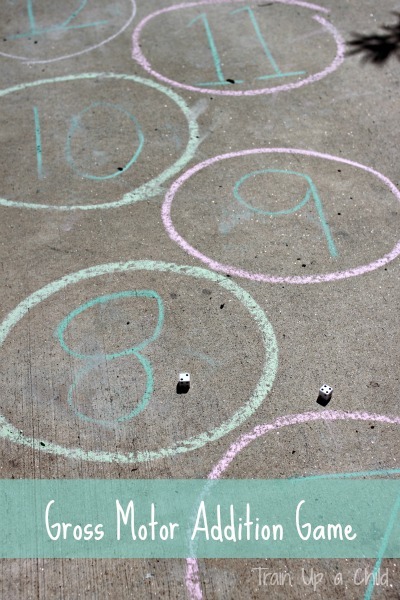 I only started enjoying math when I began teaching it. Why? I was determined to make it fun. I vowed not to rely solely on flash card drills for mastery. I wanted to get my students excited about math, a subject that far too many (like me) fear and dread. This year has been all about memorizing those basic math facts for my first grader. It was a struggle for her. Sadly, she takes after her mama. So making it hands-on and fun was a MUST in our house or she would simply shut down on me. I was determined to help her and I wanted it to be FUN. I do not want her to grow up hating math, like I did. One of our "go to" math games is Add It Up (from Mom to 2 Posh Lil Divas) Mixing in some beach ball fun to practice math facts means lots of gross motor movement and fun. 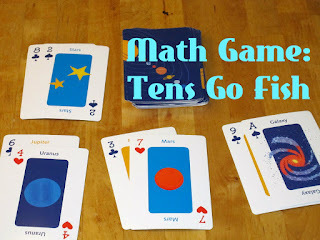 This Make Ten Math Card Game (from What Do We Do All Day) was a new one to us this week & I am beyond pleased that Erica shared it with me because it was an instant hit for my 1st Grade Diva! 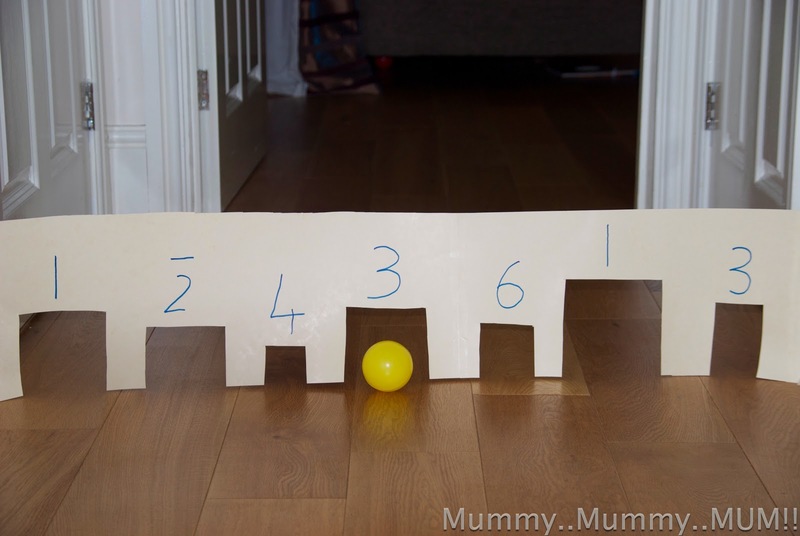 I love that it practices both addition and subtraction (sometimes at the same time) and really gets kids thinking mathematically. It's a definite must try if you have kids working on mastering those basic facts. 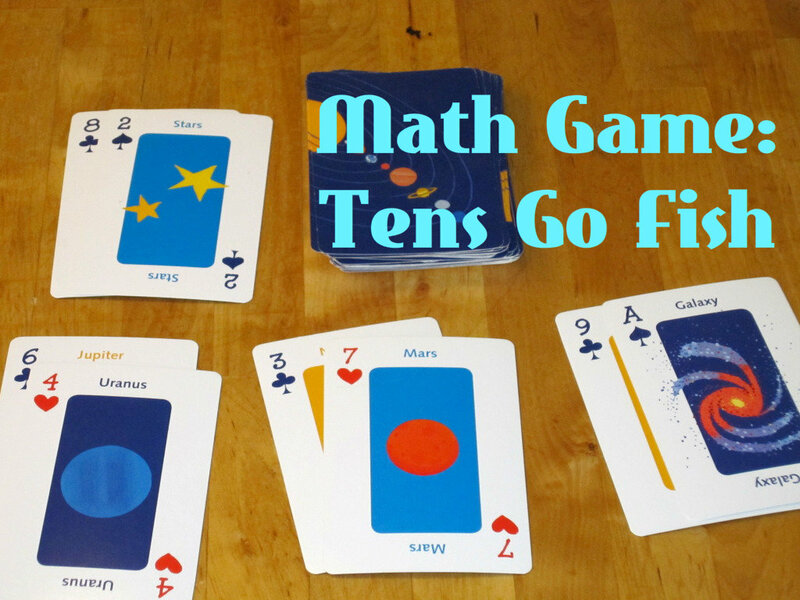 One more awesome math card game from What Do We Do All Day - Tens Go Fish. This is such a fun way to practice what addends make 10. he kids will have those math facts mastered in no time. 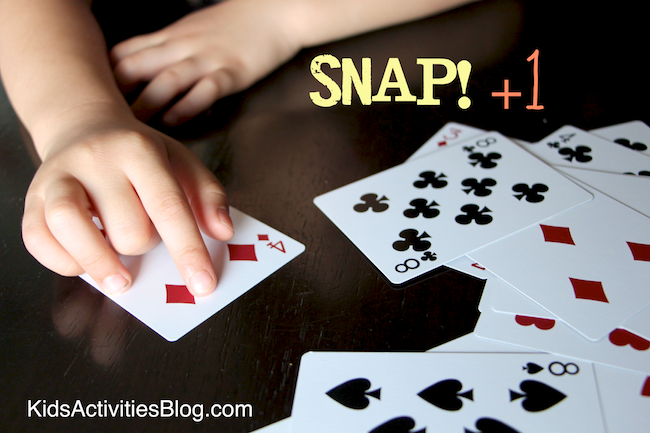 Here's a really fun Snap +1 Card Game (from Pauline of Lessons Learnt Journal via Kids Activities Blog). 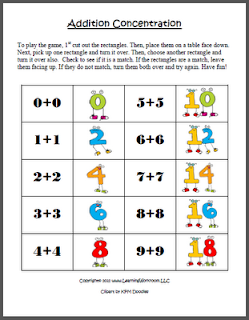 This is great for practicing "counting on" from any given number which is crucial to have mastered when learning how to add and subtract. 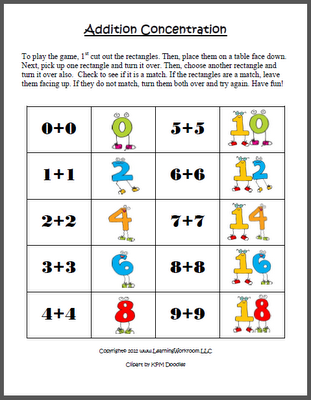 Here's another one we enjoyed from Learning Ideas Grads K-8 an Addition Concentration Game that practices doubles. 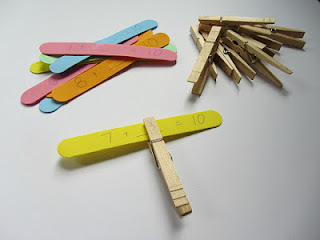 Another fun way to practice those math facts & sneak in some fine motor practice using clothes pins - Clip in the Blanks (from Allie of No Time for Flashcards). We do this all the time with our math facts. There's something about clipping those clothes pins that keeps it interesting and fun. 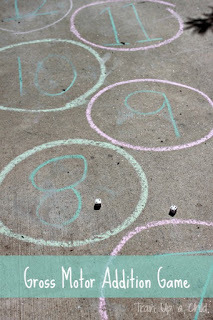 Take math practice outside with this fun Gross Motor Addition Game (from Train Up a Child). If you want to use flashcards, do it in a fun way. Trust me, drilling card after card gets boring fast. 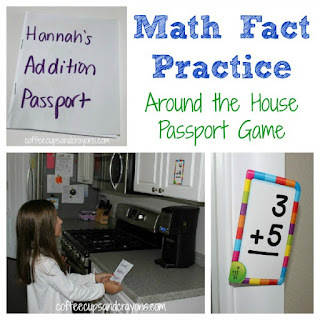 Try this Math Fact Passport Activity (from Megan of Coffee Cups and Crayons). It's interactive and fun. 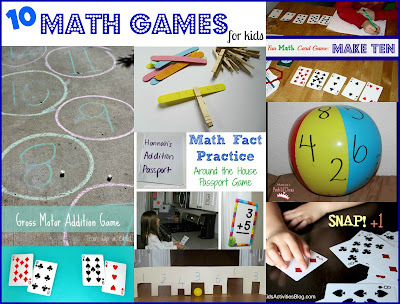 These activities and games are not only fun but they will surely have your child mastering their math facts in no time at all. For additional math ideas follow my Math Fun Pinterest Board - lots of amazing ideas pinned in one neat, tidy place for you! Have fun playing & learning together! I love these ideas! Hands on learning is the best. 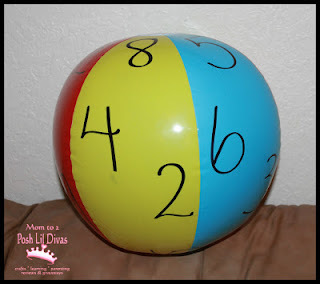 Have you ever played the game Set or 24? 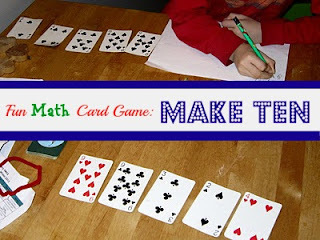 They are both really fun games for learning math skills that my kids loved. They also loved Krypto when they got a little older- it is similar to 24 but also uses division and multiplication. Thanks for sharing our math game, Bernadette! I'm glad your daughters enjoyed it. Great list! Thanks for including ours! Pinning to do every single one because we are in the same boat in first grade! All fabulous ideas as usual. You are creating the smartest kids on the block! Great ideas. I think it's great that you are interested in sharing math learning ideas since math was not your thing when you were younger. I think when we struggled learning something, it makes us that much more motivated to help others. Thanks for your post . cheap pc games .Please visit this website and chose game .